Tiny Bubbles is an award-winning organic puzzle game about playing with clusters of realistic soap bubbles in a microscopic aquatic world. Pop bubbles by matching four or more colors and create cascading chain-reactions. Inflate bubbles with colored smoke to strategically reshape the cluster. Break bubble edges to combine neighbors and mix new colors. Save bubble-bound creatures and fend-off greedy Jelly Crabs. 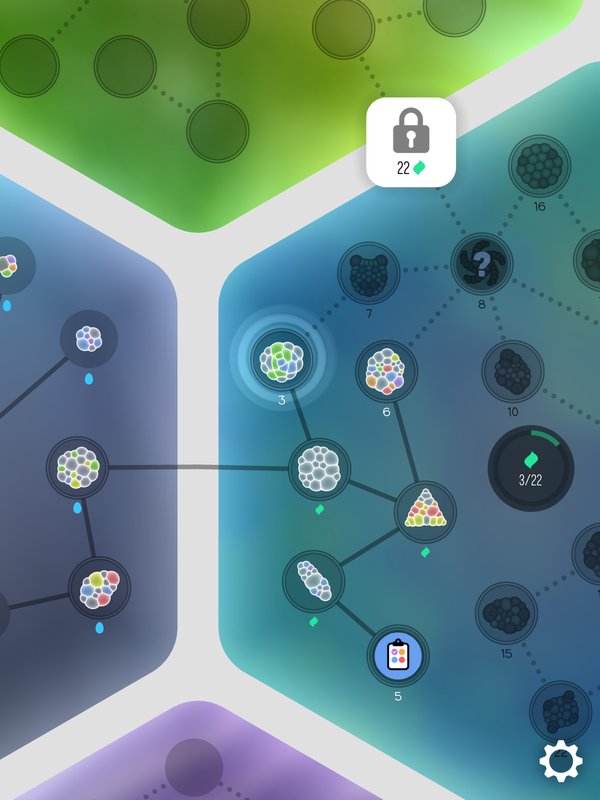 Explore 7 worlds with 172 puzzles, each with unique goals and surprising challenges. 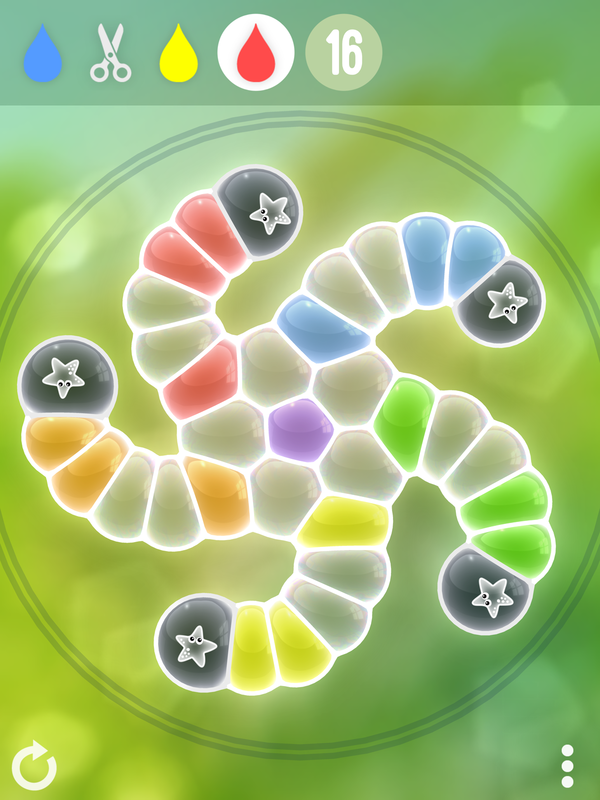 Select from 3 game modes: Arcade, Puzzles, and Infinity. 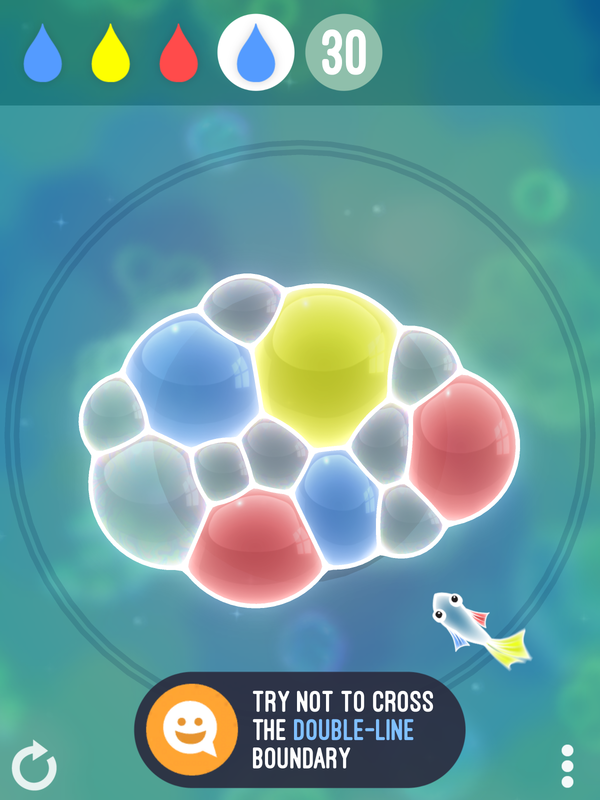 Arcade: Bloop, the fish, blows bubbles. Pop them before they go out of bounds. Puzzles: Find brain-bending solutions using a limited number of moves. Infinity: Endless game, played in bursts. Proprietary "Molecular Dynamics Engine" feels like you're playing with real soap bubbles. 35 achievements with even more challenges. Relaxing adaptive ambient music by composer Kristoffer Larson. Fluid 60 FPS physics and animations. Strategize future moves to create longer chains and combos. Help friendly creatures and avoid jelly crabs. Branching worlds let you choose your own path. Earn power-ups and "wild" bubbles. Hint system helps you if you get stuck. Authentic color blind mode: works without symbols or patterns. Supports up to 12 player profiles on a single account. 10 - 15 hours of single-player gameplay. My grandfather had tremendous influence over me as a boy, spending summers with him out in the woods of New England. He would marvel over the structures of leaves, molds, and tiny forest creatures. At dinner he’d go on and on about how fascinating the world was, and had a particular interest in minerals, metals, and soap bubbles. I didn’t know until later that he was a rather well known scientist at M.I.T. Cyril Stanley Smith studied clusters of soap bubbles because of their similar structure to that of molten metals under a microscope. In the 1950’s he published papers on his soap bubble research, becoming a pioneer in this field. After I worked as a Game Developer for 20 years, I couldn’t shake the thought that there must be a game somewhere in my Grandfather’s bubbles. The strange movement of foams needed to be played with to find out. After months of work developing a molecular dynamics engine, the first puzzle in Tiny Bubbles was born. Bubble clusters form a perfect balance between the air pressure inside each bubble pushing out and the surface-tension pulling the edges together like rubber bands. No more or less than 3 edges can ever meet at a vertex and are always separated by 120 degree angles. While foams have these unusual properties, they are ingrained in our daily lives as humans. They cross boundaries of culture, gender, language and race. We see soap bubble foams every single day, whenever we wash our hands. While there have been many games about bubbles, they are but wobbling circles; none have simulated their true nature. People are drawn to their familiar form and strange movement. Playing with them is an immediately satisfying experience. My grandfather’s colorblindness was never a disability, in fact it helped him appreciate structures in nature where others did not. When I was 13 years old he sent me some bubbles to color in for a lecture he was giving. He needed my help because of his color blindness. He would have had the same problem playing Tiny Bubbles had I not made a colorblind mode in his honor. While many developers use patterns or icons to make their games accessible, it was important to me to make a colorblind mode that was authentic to the original game. After a lot of testing, we came up with a new color palette that works for all 3 color blindness types and defines new color mixing rules that are easy to remember. My “holy grail” of game design is to come up with an original new game mechanic. For example, think about the first time you played Tetris. Tetris is a game with no story, no characters, and very little art direction. And yet, it is this classic puzzle game with no equal because of its surprisingly deep gameplay and continuous arc of skill towards mastery. Today’s world is full of distractions and stress. I don’t think we need more mindless games to escape, but rather games that exercise our minds in a relaxing and mindFUL way. Tiny Bubbles was designed to be free of timers and speedups. It embraces failure, with no penalties to retry a puzzle. As long as a player can learn from their attempt and try again, they can show steady improvement in skill. I believe this is the key to fun in games. The overall feel of the soundscape was inspired by the art and design inherent in the game. The out-of-focus dreamy backgrounds of each world are echoed in the amorphous sonic texture. 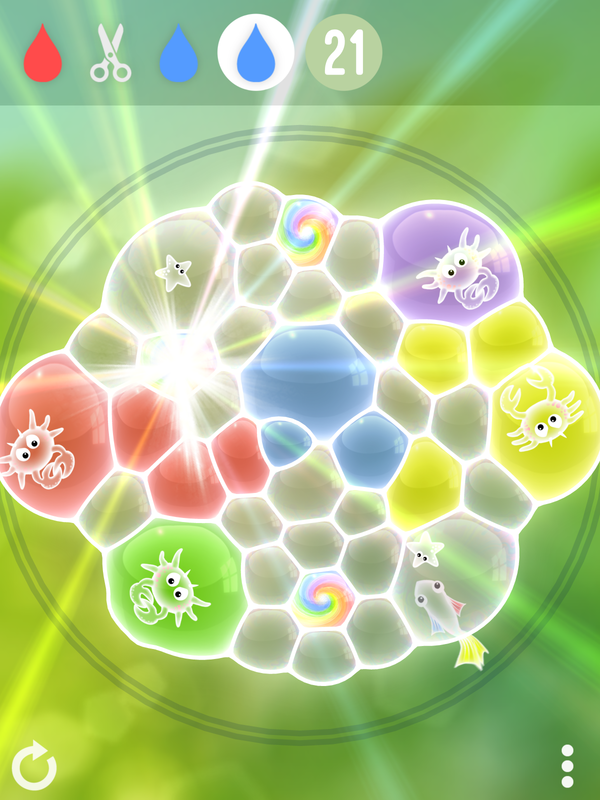 The interactive score evolves and immerses the player as they interact with the bubbles. The tone of the soundtrack reinforces the mindful nature of the gameplay to create a comfortable experience, encourage experimentation without fear of doing anything "wrong". While not overly cheery or one-dimensional, it alludes to the moody mystery of our world and the fascinating depths of science that can be found all around us. The sound effects were created from a wide variety of sources and processing, creating a hybrid approach of naturalistic recordings and high-tech synthesis. Some of the most frequently heard sounds, the bubbles popping, use recordings that Stu did with his sons, carrying on the family tradition of inter-generational inspiration. "Game of the Week: One of the most varied and unique puzzle games I’ve ever had the pleasure of playing." 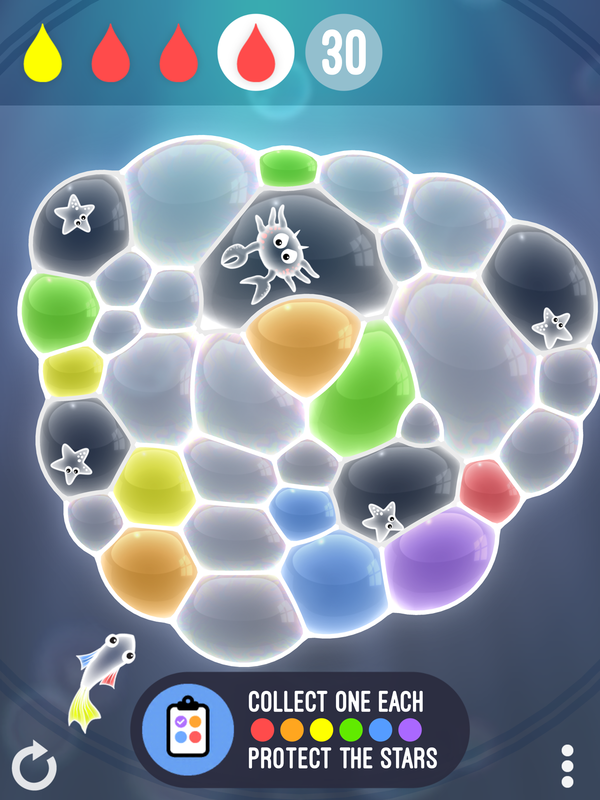 "Tiny Bubbles is an evolutionary step forward for science games as well as mobile games." "Download this: 'Tiny Bubbles' is the brain break you didn't know you needed." 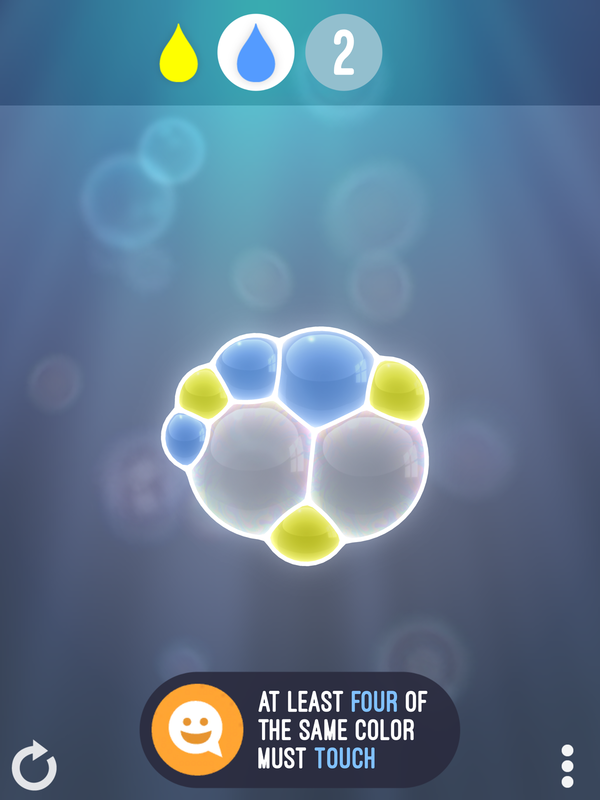 "The Story Behind Popular Puzzler Tiny Bubbles"
"Blown away with the level of depth. One of the titles from PAX I'm most excited to play when it finally comes out." "PAX West: The most exciting and surprising indie games." "The Ars 10: Favorite Indie Games From PAX West 2017"
"a unique, clever, and challenging puzzle game"
"a vibrant assault on the senses with its beautiful puzzle presentation"
"I thought the soap-bubble matching game was wonderfully creative." "I did it. I found my spirit game. 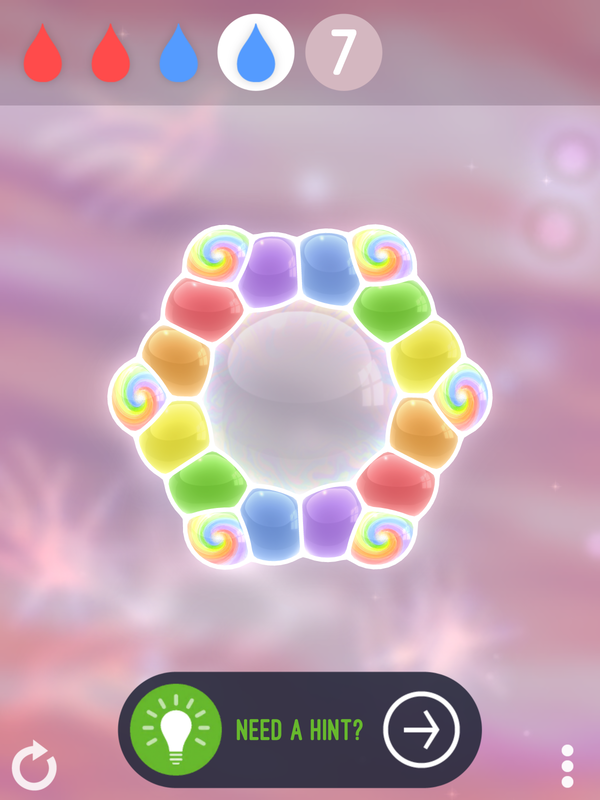 I had a serious Candy Crush addiction... This game is better, like way better." "Developer Stu Denman has crafted his own bubble simulation, giving life to something truly unique." Go here to find pictures of the team and events. pinestreetcodeworks.com. A variety of videos and clips, both old and new: youtube.com. Photos of us accepting the award at SXSW Gaming www.gettyimages.ie. Stu Denman has been a game developer for over 20 years, starting as a founder of Surreal Software in 1995. His games explore the wonders of nature with a focus on unique gameplay. Tiny Bubbles could not have been made without the additional contributions of Paulette Denman, James Hutt, Kristoffer Larson, and Nico Prins. More information on Pine Street Codeworks, our logo & relevant media are available here.